Wow, what a strange journey this book has taken. I remember when Hath No Fury was launched as a Kickstarter way back in 2016. It got caught up in the collapse of Ragnarok Publications, saw a few anticipated release dates go by, lost an editor, and then finally saw the light of day through Outland Entertainment. 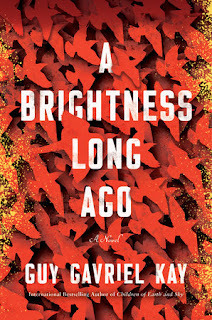 I had landed an advance review copy in November of last year, and read it in anticipation of reviewing it for what was (at that point) an anticipated May release. When that got pushed out to August . . . well, I lost track of it. What can I say, it happens, especially with such a towering pile of review titles. Fortunately, I'd made notes as I went, but I still had to skim back through the book to flesh those notes out into a proper review. 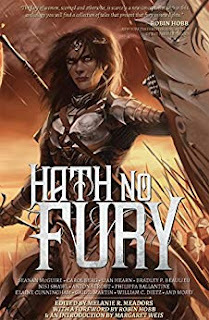 The concept of Hath No Fury was one that excited me from the moment Melanie R. Meadors first brought it to my attention. An anthology of smart, resourceful, confident women who are warriors, heroines, and champions - about as far from the clichéd damsel-in-distress as you can get. The format is a bit odd, blending fictional tales with non-fiction essays (I'll be perfectly honest, I skipped the essays, so I won't comment), but I can appreciate what Melanie was trying to do with it. As to the stories, I won't go into detail on them all, but instead call out the ones that were most memorable for me. She Tore by Nisi Shawl stands out in my memory as one of the few diverse stories in the anthology, with non-binary, shape-shifting character standing out. The Scion by S.R. Cambridge is a tale of post-apocalyptic survival, told by a young woman from a family where the women are known to die young. 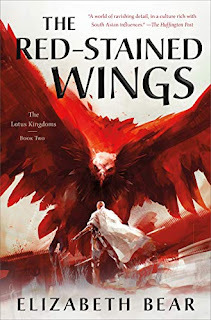 I didn't particularly care for the plot or the concept, but the characters were strong, and I think their relationships capture what the anthology is all about. Casting On by Philippa Ballantine was a slow and subtle tale, without any real conflict or action, but well-told and almost reassuring in its humanity. Burning by Elaine Cunnigham was a great concept, mixing telepathy and dragons, with some fantastic moments, but it felt rushed. There's definitely more story to be told here. A Dance With Death by Marc Turner is one of my favorites, the story of an assassin targeted for death, and another of those stories I really wanted more of. Such a great character, and it was nice to settle back into Turner's style once again. A Wasteland of My God's Own Making by Bradley P. Beaulieu is, not surprisingly, another exceptionally strong story from an author who writes powerful women very well. 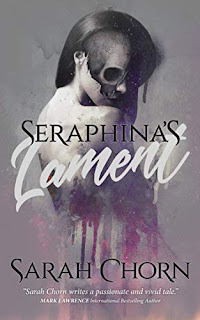 She Keeps Crawling Back by Delilah S. Dawson was odd, with its mixture of monstrous crocodiles and massive killer robots, but I liked the two women, and I thought the reveals were well-done. Craft by Lian Hearn is a story that sticks with me, not because of the writing or the characters, but because of what happens on the beach. Regardless of what follows, that decision is just . . . well, weird. Reconciling Memory by Gail Z. Martin is a solid little story of revenge, with that unique narrative style that defines Martin's writing. I quite liked it. Sadly, there were some true clunkers in here, stories that I am honestly surprised made the cut, but I respect it for taking chances. You can't have every story appeal to every reader, or else you're just going to get something average. Hath No Fury doesn't always excel, but when it does, it's a pleasure to read.